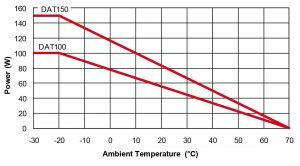 One of the main causes for electrical troubles on electrical and electronic sets is due to the moisture which is formed on components during variation of the ambient temperature. A simple and economic way to avoid these problems, consists on application of anti-condensation devices (Heaters) which maintain the temperature inside the enclosure some degrees higher than the ambient temperature in order to prevent moisture condensation. The Heaters DAT100 and DAT150 have been developed for this specific use. – Surface temperature limited to 70°C allows assembling without problems. 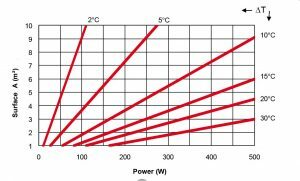 – A thermoswitch permits maximum power at very low temperatures, then reduces the power dissipated till turn off the devices at +55°C. – The DAT models are provided with simple clip mounting for 35mm DIN rail. 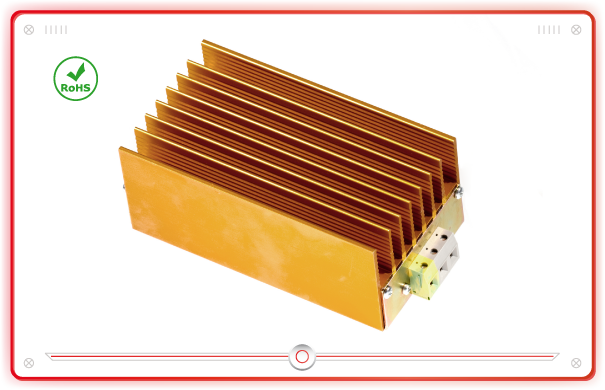 – Use of power wirewound resistors, under MIL-PRF-18546 G specs., increase reliability and suitable supply voltage.